Van Ee Staalspecialisten had been a leader in steel for more than 40 years. With the ‘Total Steel’ concept, the company uses broad expertise for the most diverse projects. 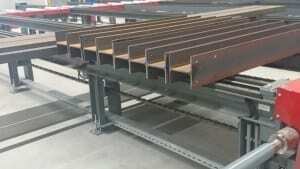 To manage projects, the steel manufacturer from Barneveld uses ConstruSteel. Van Ee Staalspecialisten continues to innovate and improve by optimizing processes, together with ConstruSteel consultants. 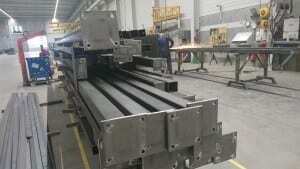 The consultants and software help us to optimize the steel building process. Efficiency is essential for the steel manufacturer from Barneveld, especially in the competitive steel construction market. By linking the practical experience of the ConstruSteel business consultants to the vision of Van Ee Staalspecialisten, the optimal process is worked out pragmatically. Van Ee: “Despite the many projects, I want to improve right now, instead to empty the ocean with a thimble. Because, when do you have time for this? Yes, this type of process improvement costs time, energy and adjustment, but the result is more important. This is how we want to stay ahead of the competition. Van Ee Staalspecialisten wants to improve step-by-step through the entire organization. The ConstruSteel business consultants set’s up the system according to the process, the wishes and the vision of Van Ee Staalspecialisten. There is close collaboration with all departments involved to pursue an optimal process. “When we are done with this improvement process, we move on to the next. Here too, together with ConstruSteel, we are taking the next step towards an optimal process. Because more money is earned if the failure costs become less. It’s that simple! “, Concludes Van Ee. Van Ee has been a leader in steel for 40 years. Total steel, that’s their story. About the broad expertise, thinking in possibilities and to make and install constructions. Van Ee Staalspecialisten is characterized by the smooth cooperation with architects and contractors. The company is specialized in stairs, balustrades, bridges, artwork and specials in steel and the co-creation with designers and builders. This can be seen in the reference projects that they refer to with pride.